Both the words, simulation and simulator, are often used in network world. The simulation technology is of crucial importance for accelerating the effective performance of the networks systems. 1. It responds to questions with regard to SNMP manageable devices in complete and accurate manner. 2. It actually appears to be interacting with the devices. 3. All devices are characterized by unique IP address, SNMP device, parameters, etc. 4. Configuration of devices can be done at run-time individually and collectively. Now, let us first understand what a network simulator is and its functions in the computing network domain. Network simulation is a method in which mathematical formulas are used modelling the working of a network. This is done by computing the interaction between various networks and evaluating back observations within a production network. 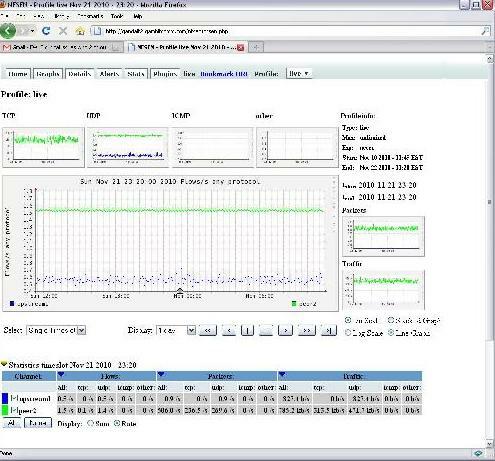 The observations are done in a test lab environment to check the overall patterns of the network and other systems. Thus, a Network simulator refers to software for predicting the activities and performance of a network. Due to the increasing complexities of the networks, particularly in the communication industry, the traditional observation systems fail to achieve the desired purpose. As a result, the system performance is not understood clearly and precisely. In network simulation, modelling of network takes place with applications and devices and other resources. On the basis of the modelling, the behaviour of the system is evaluated. With the help of IOS Simulator, one can execute and debug Cisco IOS applications quickly without much hassle and spending substantial time. If you conduct tests using an IOS simulator, then you are not required to have expensive Cisco devices. IOS simulation is mostly done for testing CLI based applications connecting to Cisco devices using Telnet and SSH. The IOS Simulator provides support to Cisco IOS commands and other interfaces, and SNMP devices. With this methodology, 100k devices can be simulated on once server and more by distribution over various workstations. Devices can be accessed with various systems such as Telnet and SNMP. If IOS Simulator is synchronized with the functions of the IOS recorder, then any command can be recorded or simulated. A place where you find solutions for your network and IOS simulation is Gambit Communications. This organization provides excellent services to the entities and vendors in various services. They help the entities and vendors to test, develop and train their staff with regard to various simulation tasks and devices. We have experienced and skills staff to train employees of other organizations about simulation devices and mechanisms. Thus, the training sessions conducted are rigorous and comprehensive so that the employees can get complete idea to deal with simulation devices. The range of products offered by Gambit Communications is broad and includes simulation devices in every range of computer and network domain. Their services are excellent and consistent in terms of quality standards. Traditionally, providing a sales demo for network management software meant setting up a physical environment featuring the desired variety of networking equipment to cover the sales demonstration to the particular target customer. Furthermore, most sales scenarios required complicated setup, and required travel to the customer site, or trade shows, or time-sharing of central facilities in a sales demo lab or web-site. These limitations made such demos cost prohibitive, resulting in small-scale, static demos that did not materially impact sales conversion. With the advent of ubiquitous virtual machines (VMs) and network simulation, sales demo labs can be provisioned cost-effectively by implementing virtual demo appliances on either public or private clouds. Bundling the management app and MIMIC Simulator on a VM image, allows the sales staff to instantiate as many demo labs as needed at any point in time, and for the sales associate to access the demo environment over the Internet whenever and as long as needed. Realistic self-service sales demonstrations can be provisioned automatically. Multiple on-demand demo and training can be scheduled without worrying about conflict or sharing. On-demand pre-sales training can be used for application evaluation. With a larger variety of scenarios, demos can be tailored to the customers needs. Many potential customers take a long time to setup the test lab and install the application for the evaluation. An online demo can get them started on playing with application earlier so they can already get familiarized with the features. When the lab gets ready, they can directly start on testing the specific needs. This reduces the sales cycle significantly. MIMIC Simulator is a simulation software suite including SNMP Simulator, WEB Simulator, NetFlow/sFlow Simulator, designed to accurately create virtual environments to interoperate with network management applications. This solution is already deployed in an on-demand cloud offering called Cisco dCloud, with on-demand sales labs for Cisco Prime Infrastructure. This offering leverages the SNMP, NetFlow and Cisco IOS simulation features of MIMIC toward high-impact sales demonstrations. Other such sales demo appliances can easily be implemented as an on-demand, single-tenant offering. 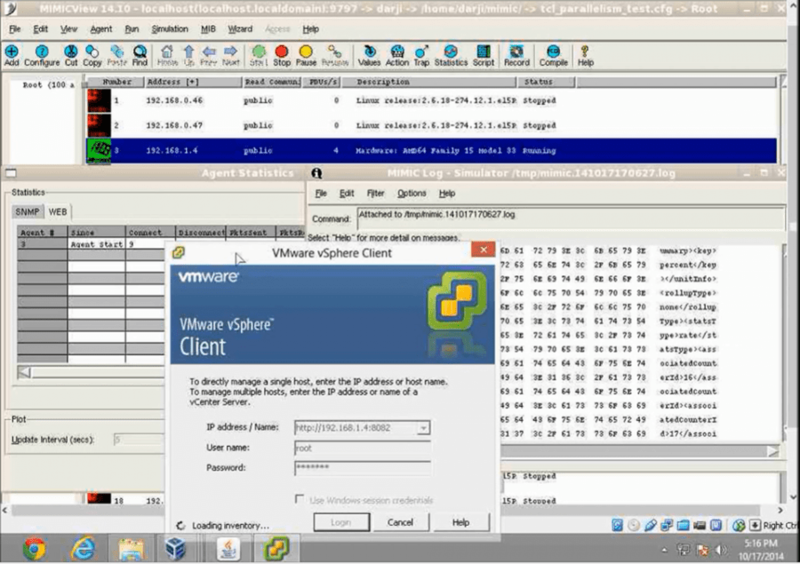 Similarly to traditional software installations, the network management application is installed in a VM environment along with MIMIC Simulator. The simulator transparently provides a scalable, dynamic network environment to be managed by the application. The customer and even the sales associate driving the demo usually does not know what is running behind the scenes. Many R&D and Quality Assurance departments already test network management applications against MIMIC Simulator. They setup the simulator to provide predictable, repeatable, regression able scenarios that run the management software through its paces. Those scenarios can be adapted for sales demos. An extra customization adds a simple demonstration scaffold to provide the sales staff a user-friendly choice of scenarios to demonstrate. Each scenario configures the simulator to create a particular network configuration and traffic patterns to impact the management application. For example, a faulty configuration or an attack scenario can be simulated to show troubleshooting procedures. Once a snapshot of this VM lab is saved, any number of independent instances can be provisioned for the required demo periods. The cloud framework isolates each of the VM labs from each other, preventing them from affecting each other. A combination of MIMIC Simulator and network management application bundled on a virtual machine provides cost-effective, on-demand sales demonstrations tailored to customer needs. Deploying this appliance on the public cloud scales the demo resources at incremental and predictable cost, enabling precise cost/benefit analysis when integrated into the sales CRM environment. A number of simulation systems are being developed, every day. Needless to mention their applications and uses! For example, flight simulators are used for training pilots to be able to respond quickly in critical flight situations. They are equipped with features that are aimed for pilots to think that they are actually driving a real plane; or the prevailing flight situation is actually a real one. Similarly, military simulation systems make the troops believe that they are interfacing with real opponents in a real battle. Today, a number of simulators have come up related to testing and verifying the networking applications and day-to-day functions. We are highlighting only three of the most important simulators here. One of the main simulators that is used today is the Web simulator. This is used to simulate a real web server. It is mainly used for the developers of web based applications. Actually, most of the projects that are based on this simulator are aimed at coming up with testing the scalability of the web based applications that is capable of managing thousands of web services. The main essence of having the simulator is to make sure that all the necessary requirements of the web application have been met. There are numerous features that come with this simulator. Most of the features are aimed at starting, stopping and changing various fields for web app developers to easily come up with high performance applications with no errors. There are tools for debugging web based systems and to check their performance before they can be in operation. Another important simulator that is commonly used today is the Cisco IOS Simulator. This is one of the most popular simulators that are available today. It comes with a number of features that have been incorporated for purposes of replicating a real IOS. The IOS is the operating system for Cisco. IOS simulator works on Cisco devices which include the 3640, 7206, 6260, 6500 and works seamlessly with, Cisco Prime Infrastructure, GSR manager, Cisco works 2000 and other network management applications. The simulator can replicate thousands of Cisco devices and then Telnet/SSH in to those devices. Then send “Show” commands to get the configuration and “Configure” commands to set the configurations, just like real Cisco devices. Another simulator that is also used on a wide scale is the Network Simulator. It boasts of many features that make it suitable for simulating a real network. The network simulator is actually software that is mainly used for predicting the behaviour and performance of any network applications. Under normal circumstances, it is difficult to analyse computer networks due to their complex nature. Therefore, network simulators are used to study their behaviour. It can simulate thousands of networking devices to try various scenarios to make sure applications manage those correctly.